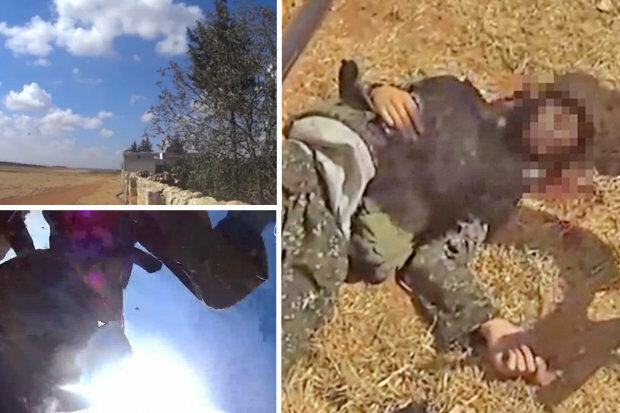 FOOTAGE shot in the heat of battle captures the moment an ISIS fighter meets his well-deserved demise. The video, filmed by a body-mounted camera, shows the jihadi and his mates scurrying around a war-ravaged landscape. Blindly shooting their weapons and blowing stuff up, they showcase their firepower, but then the propaganda video is cut short. Because as the fighter steps round a corner a bullet takes him in the head, leaving motionless camera filming the sky. Subsequently we see other fighters gathered round the jihadist’s lifeless body, whose head lies bathed in blood. But the extremist isn’t the first to film his own death, with another actually catching his killer on camera. The latest footage was reportedly filmed in Syria, where Islamic State is being battered by its rivals. And in neighbouring Iraq, government forces have taken back control of the key cities of Tikrit, Baiji and Ramadi. 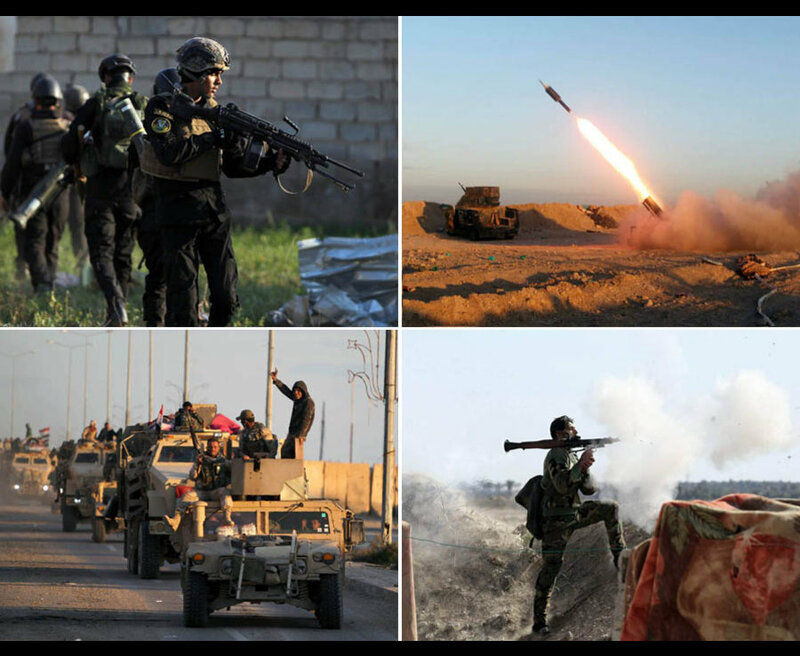 The fight against Islamic State continues in Iraq and surrounding areas. Now the nation’s army is trying to boot ISIS – also known as Daesh – from the capital Baghdad after an all-out assault. The military are hoping to dislodge Islamic State from desert areas northwest of the city by cutting their supply lines. “These operations will play a significant role in cutting all the supply routes in areas still under the terrorists’ control,” said Brigadier General Yahya Rasool.